FOM Institute AMOLF carries out fundamental research in the fields of nanophotonics and biomolecular physics. The institute focuses on top-quality science and at the same time has an open eye to technological applications and innovations. 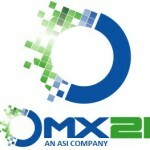 Omics2Image, an ASI company, received a page about their research in the booklet of FOM Institute AMOLF. This booklet provides a brief overview of science and innovation from all research groups at AMOLF. It shows that AMOLF’s research program can lead to fundamental insights and technological innovations in a broad range of applications including, for example, solid-state lighting, communications technology, photovoltaics, photocatalysis, biomaterials, bio-sensing, food sciences, bio-membranes, tissue engineering, molecular imaging, etc. 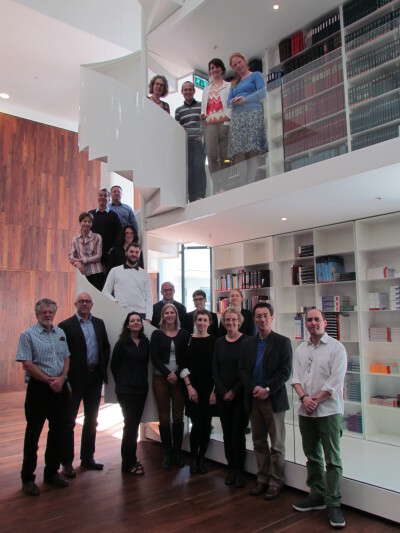 Recently, Omics2Image (O2I), an ASI company, moved to a new office and a state-of-the-art laboratory in the BioPartner Center of Maastricht. This BioPartner Center is an initiative developed by University of Maastricht (UM), University Hospital Maastricht (azM) and both governmental and economical actors. The multi-tenant incubator facility is suited for start-ups and established firms in Life Sciences. The focus of the company will be on the development of the total solutions based on our technology to solve problems in the research of Life Sciences. Since the BioPartner Center offers great possibilities to develop and adjust our imaging techniques to the needs of researchers in the field of life science, O2I is now located here. For more information about the BioPartner Center click here. 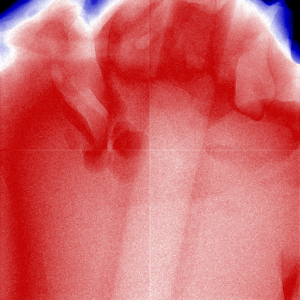 Our junior research scientist, Marc de Beurs, has established to do some interesting X-ray measurements. An X-ray Computed Tomography (CT) gives a cross-sectional image of a measured sample. Through this technique get so called virtual slices of the object are obtained, giving full 3D information. Here we see a CT reconstruction of the RJ45 connector, more knows as the ethernet connector. Every virtual slice is stacked after one another and shown as a movie. In this manner the connector is seen from bottom to top, where the next slice has a rise of 55 micron. For clarification a 2D X-ray image of the connector is shown, where the yellow line indicates the slice that is shown in the reconstruction. The white round shaped objects are the cables and the lighter square is the plastic material around the connector. Interesting is when the cables start to cross. On the 2D image this is also visible, however one cannot determine what the distances are between these cables or which one crosses in front. By looking at the CT reconstruction this information is achieved. At the end of the movie even the small plastic part, corresponding the the clip, is visible. Measurements of 180 degrees rotation with steps of 1 degree. Each frame has an exposure time of 0.1 second coming to a total exposure time of 18 seconds. For these measurements an X-ray beam with Tungsten as the target material has been used, with the voltage set to 50 kV and the current at 0.7 mA. 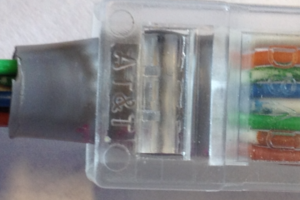 The RJ45 is a good example of what can be established with our detector. For a more biological application Marc de Beurs made a CT scan of a chicken heart filled with iodine to see where the limits of distinction of our detector are. Chicken heart filled with iodine. CT image of the chicken heart. The light circle in the top right is the artery filled with iodine, the darker circle around is the plastic which is filled with iodine. The dark area (blob situated on the right low centre) is air (the heart is opening up) the light area (biggest area, everywhere) is the mussel, and the slightly darker area (also big) is fat. Each frame has an exposure time of 2.0 seconds. For these measurements an X-ray beam with Tungsten as the target material has been used, with the voltage set to 50 kV and the current at 0.3 mA. To be able to identify all these different materials, with high resolution is what we stand for. 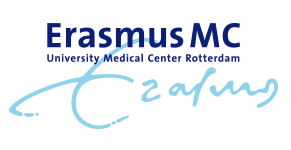 Omics2Image, an ASI company, participates as an Associate Partner in the Marie Curie ITN project TargetCaRe coordinated by Erasmus Universitiar Medical Center Rotterdam. 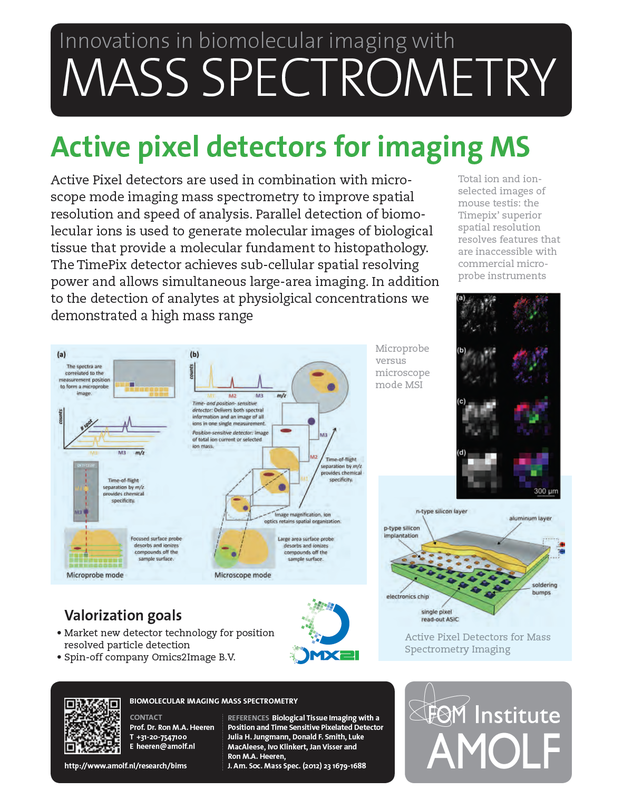 For this project our IonPix camera will be used in for imaging which provides extremely high spatial resolution molecular images and has the capability of capturing several ion masses in one measurement cycle. TargetCaRe focuses on the development of a treatment against mobility diseases, such as chronic low back pain and osteoarthritis by drug delivery carriers. The aim is to achieve regeneration of damaged and degenerated tissues by employing targeting strategies tailored both to the pathology and the tissues involved. Omics2Image will be part of the supervisory board of TargetCaRe. We will also offer advice and mentoring in the program, in particular in the area of imaging, and contribute to training activities such as workshops and summer schools. Establishing a network of scientists skilled in the use of smart nanocarriers, unique approach of targeting by disease specific molecules and application of innovative imaging tools. 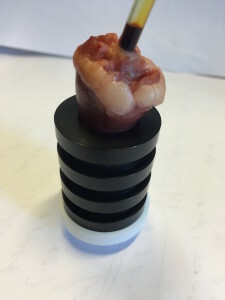 Supported by generic scientific and training in economical and clinical valorisation, these researchers can further implement these technologies in the musculoskeletal or other areas, both in academia and industry. Developing strategies exclusively targeting diseased tissues with controlled doses of bio-actives, circumventing the disadvantages of the current shotgun approaches in regenerative medicine. Kick-off meeting in Rotterdam for TargetCaRe. We are happy to offer opportunities for secondments to the scientists in the network. Read the article ‘Pioneers on Precision Medicine’ in the Analytical Scientist (p.28), featuring Omics2Image co-owner and ASI advisor Prof. Dr. Ron Heeren.